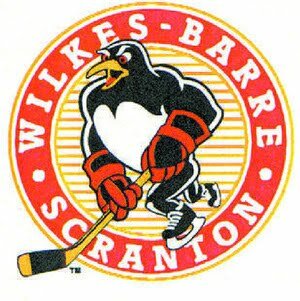 The Wilkes-Barre/Scranton Penguins' season came to a shortened end Monday night when they lost 5-3 Monday night vs Albany. This "sweep" was certainly a disappointing way to end a season that had featured so many up and down moments. So it seemed only appropriate to end it with an up and down game that unfortunately ended on down note for WBS. They got on the board first and exchanged goals with the River Rats until Albany scored the backbreaker with less than 7 minutes remaining. Wyatt Smith got the Pens on the board first with a goal late in the first period. This lead would last through half of the second until Oskar Osala tied it up for Albany. Chris Conner stole the momentum back for the Pens, but for a very short time as Jamie McBain scored just 46 seconds later to tie the game up yet again. It was clear that the momentum problems that plagued the Pens for the entire series had reappeared, and at a critical moment. Nick Johnson scored just 28 seconds into the third, but once again it was negated by an Albany goal just over a minute later this time by Jerome Samson. Zach Boychuk scored Albany's go-ahead goal and Jamie McBain added a late empty netter to round the score off at 5-3. I could go into the elaborate description of all of the things that went wrong for the team this season, but instead I am taking a different route. They made the playoffs for the eighth consecutive year, and for the ninth time in the franchise's 11 year history. This was especially a challenge this year, as the Pens seemed down and out late January and early February. Instead of mailing in the season, they fought hard and turned their season around in the last few months of the season. Along with all of this playoff mania, it is often lost what the true purpose of an AHL team really is. The Penguins had a wide selection of players called up to the parent club, and some actually contributed extended stays and offensive points. The list of these players are forwards Mark Letestu, Chris Conner, Tim Wallace, Eric Tangradi, Dustin Jeffrey, Nick Johnson, defensemen Ben Lovejoy and Deryk Engelland, and goaltenders Brad Theissen and John Curry. Most if not all of these players fit well into Pittsburgh's system, and were more than adequate replacements for their injured counterparts. So, yes, many will view this season as yet another failure to win the elusive Calder Cup, but in my opinion Wilkes-Barre more than accomplished their purpose and their year will come sometime in the near future. For now, a "taxi squad" of players should be called up to the NHL Penguins to travel with them for the duration of their hopefully long playoff run. These players may include Chris Conner, Mark Letestu, Deryk Engelland, Nick Johnson, and Tim Wallace as well as Lovejoy and Theissen who are already with the NHL club.